Desislava Pavlova is a senior teacher of DUI in the Center for special educational support “P. R. Slaveykov”, Pleven, Bulgaria. Her Bachelor’s degree specialization is in Pedagogy of Engineering and Technology and her MS degree is in Textile Engineering and Technology. 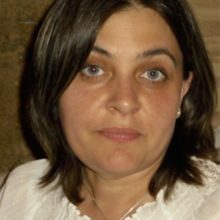 She has a professional qualification in Informatics and Information Technology from the Technical University of Gabrovo, as well as a specialization in Pedagogy of children with intellectual disability from Sofia University “St. Kliment Ohridski”.